Sprint 4G LTE is sometimes only as zippy as competitors' 3G, but it's better than the slower speeds the carrier provides otherwise. Hopefully the situation improves as Sprint Spark comes to more parts of the country. 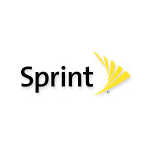 Sprint says its 4G LTE is now available in 402 cities nationwide.